James Whetzel, a world-class musician based out of Seattle Washington, today releases the second installment (the first being Depeche Mode's People Are People) in his on-going covers series. It's a tune DFA Records/Yacht fans are very familiar with: Psychic City (Voodoo City). What most of you may not know is the track was originally written and recorded by Rich Jensen for his Two Million Years cassette from 1987 via K Records. Yacht connected and became friends with Jensen, and put the track out on their 2009 DFA Records debut See Mystery Lights. Just as Yacht breathed new life into this unearthed classic in 2009, James Whetzel does so again in 2012. 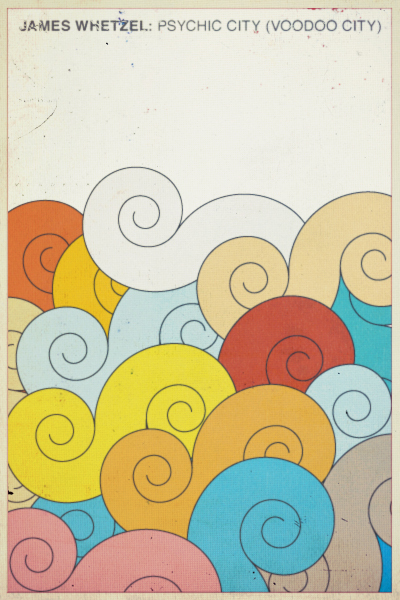 Whetzel's take is a percussive melting-pot of organic textures, full of life and beauty. FYM: Could you tell me a little bit about why you decided to start this series of cover songs? James Whetzel: I decided to do covers because I thought it would help people understand where I am coming from musically. 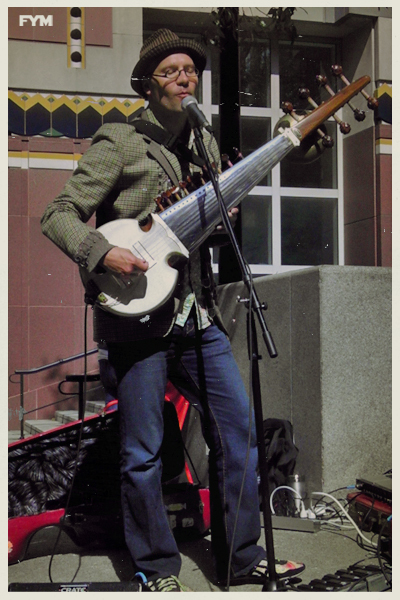 I play instruments that are less familiar to people so I want to help people come to understand that sarod and tabla are as badass as guitar and drum kit. FYM: How many covers are you planning to do? James Whetzel: I am thinking of doing six tracks on my own. And probably six with Das Dhoom. I'm focusing on my own EP first. I'll put the People Are People cover version on both. FYM: Who are you working with to produce this incredible recording? 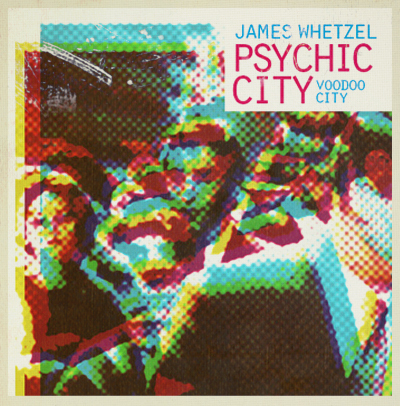 James Whetzel: I played every instrument on the "Psychic City (Voodoo City)" cover. I also recorded all of it, mixed and produced it myself. That's why it takes me a little extra time, and most of that extra time is mixing time. There's sarod, sitar, accordion, mandolin, bass, tampura, tabla, darbouka, dhol, bendir, talking drum, and a bunch of cool little shakers/ high hat sound making things that I used on the track. Some of these last things are found objects, that happen to make really cool sounds. I've had the sitar for awhile but decided not to use it until now, because people always think my sarod is a sitar and I wanted them to know I play sarod. But what the hell it's a cool sound. People can think I play sitar. I just bought the accordion last month and this is the track I've used it on. It's become my new aesthetic to make my beats out of all acoustic sounds. I sort of stumbled into when I did the Depeche Mode cover. I originally intended to add electronic drums to the acoustic drums, but it sounded so cool with all the layers of percussion and it was an interesting challenge to get all my acoustic drums to have the clarity of electronic drums. And of course since I played all the drum parts it makes my beats sound totally unique. I think it's also good to mix unique sounds with the familiarity of a cover tune. And hopefully by the end of my cover tune adventure my own sounds will have become familiar. FYM: Is there anything else you can enlighten us on, regarding your cover of Psychic City (Voodoo City)? If you dig what you heard above purchase James Whetzel's version of Psychic City (Voodoo City) HERE. And check out his other music project titled Das Dhoom HERE. They Live. Cheers, FYM.